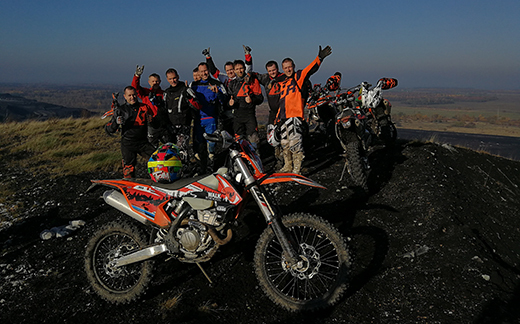 Join a thrilling and fun enduro adventure. Choose an appropriate date, place and skill level. You can take your own motorcycle or come “hands in your pocket”. We gather around 10.00 in the morning. You will be welcomed by a professional tour guide. Fantastic trails and other great moto people are waiting for you. During the adventure, we take some time off, enjoy some snacks, and when we get back from the tour around 16.00, we share the impressions, go to sauna and enjoy a good meal. Depending on the trip, the maximum size of the group is 10-14 people. Join us and enjoy the day! If you take your own motorcycle, the price is 89 euros. If you prefer to come “hands in your pocket”, in addition to the above mentioned, we also have a motorcycle and all necessary equipment for you. The price for “hands in pocket” package is 259 euros. 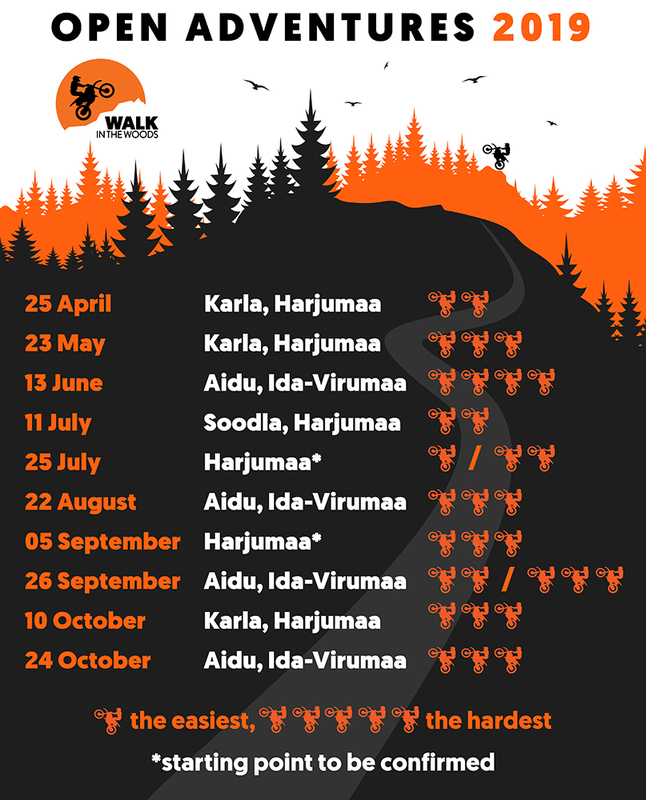 In 2019 there will be 10 adventures, the first of which will take place on April 25 starting from Karla, Harju County and the season will end on October 24 in Aidu, Ida-Viru County.